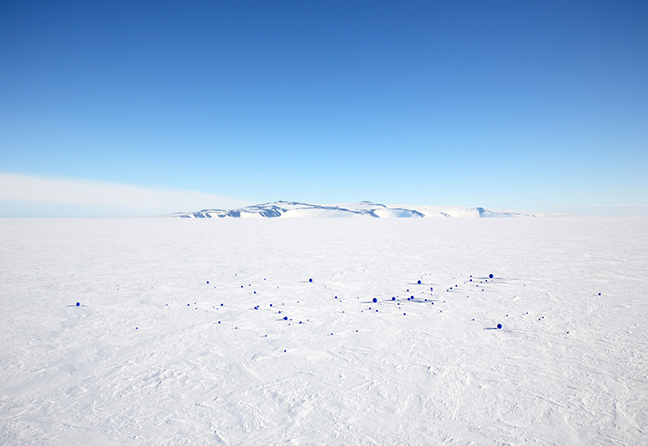 In December 2006, artist led an expedition to the farthest reaches of Antarctica, across the Ross Ice Shelf (800 miles north of the South Pole) to create Stellar Axis: Antarctica, the first installment of Albuqurque’s global project Stellar Axis (which also includes 90 Degrees North at the North Pole). The Stellar Axis expedition crew included photographer Jean de Pomereu, astronomer Simon Balm, and documentary filmmakers Lionel Cousin and Sophie Pegrum, with Albuquerque at the helm. 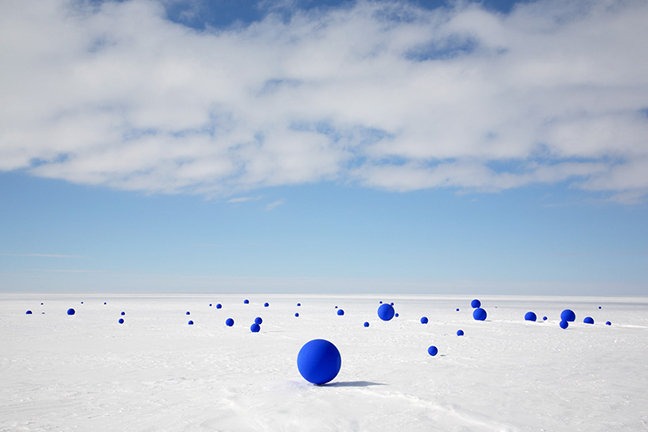 Made possible by the National Science Foundation, the project is both the first and largest ephemeral artwork on the continent.